Jeddah: Pinkberry, the leading retailer of innovative frozen yogurt treats, always aims to deliver a unique experience taste experience throughout various seasons and occasions, and Ramadan is no exception. Ramadan is a time to reflect and gather with family and loved ones, and this year Pinkberry brought a refreshing and locally relevant taste experience to the region with the new Ramadan-inspired Fruit Berry frozen yogurt flavor, for a lighter dessert alternative during the Holy month. A locally developed flavor and exclusively available throughout the region for the first time, the new Fruit Berry frozen yogurt introduces a refreshing way to enjoy classic Ramadan tastes in a unique twist. This light and fruity flavor can be topped off with a mixture of daily fresh cut fruits, such as pomegranate seeds, strawberries and blueberries with a drizzle of pomegranate syrup for a burst of juicy freshness. Fruit berry frozen yogurt can also be enjoyed in a sundae, made up of layers of the freshest berries with crunchy granola, topped off with whipped cream, a drizzle of pomegranate syrup and seeds. It offers customers the best of both worlds – the light & refreshing flavor of frozen yogurt in a fulfilling dessert. Pinkberry is an innovative frozen yogurt retailer that launched in West Hollywood, California, in 2005. 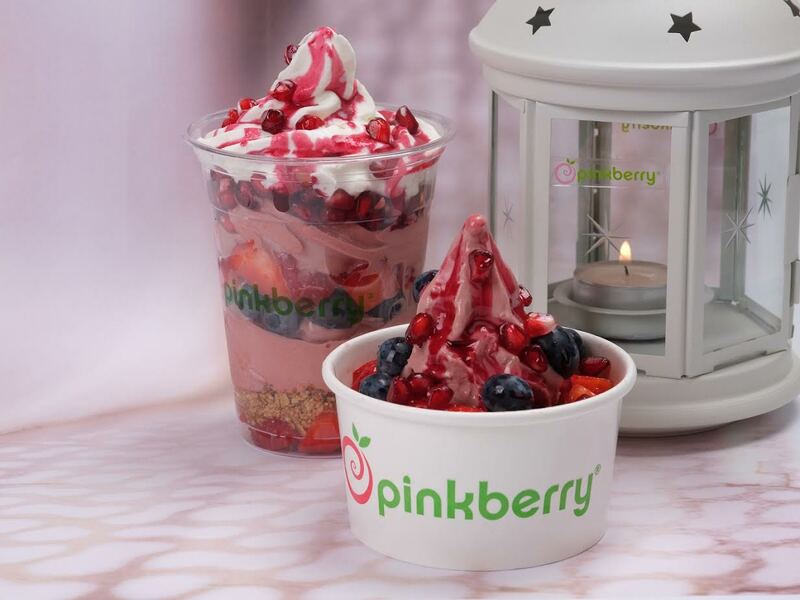 Today, with more than 255 stores worldwide and 63 stores in the Middle East, Pinkberry is one of the world’s fastest growing global retail brands and continues to lead the category. Pinkberry offers consumers a one of a kind experience comprised of distinct product, outstanding service and inspirational design. Pinkberry’s flavors and fresh-cut-daily fruit and premium toppings offer an irresistible light and refreshing taste. From store design to exceptional customer service to irresistible yogurt flavors and toppings, Pinkberry delivers an experience that delights and refreshes consumers. Pinkberry is certified by the National Yogurt Association and carries the Live & Active Cultures Seal.